The Northwest Product Stewardship Council welcomes Amanda Reykdal as the new Washington Coordinator for the NWPSC. 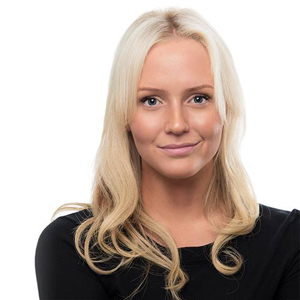 Amanda is a consultant with the firm PRR and will be doing the bulk of the outreach work for the NWPSC. Amanda brings more than 8 years of outreach and political strategy experience, working across the state of Washington with various political campaigns and ballot initiatives. Prior to her employment with PRR she worked for nearly two years working for 3Degrees on renewable energy and environmental outreach. While at PRR, Amanda has worked on product stewardship issues with PSI (the Product Stewardship Institute) and has been instrumental in planning and implementing outreach programs for Seattle Streetcar, Tacoma Link, and Group Health. We think that Amanda has the perfect mix of outreach experience, political know-how, and project management and tracking skills that the Washington Coordinator demands. Amanda will be focusing on outreach and communications and organizational development for the NWPSC - say hello at upcoming WSRA, RCBC, and other conferences and events. Amanda will be based out of the consulting firm PRR’s office and will be working closely with NWPSC Co-chair, Lisa Sepanski and Katherine Diers of PRR. You can get in touch with her at: coordinator@productstewardship.net or 206-462-6368. 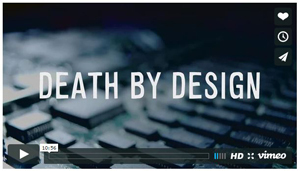 A new documentary film, Death by Design, explores how the manufacturing and disposal of digital devices have deadly environmental and social costs. From China, where most devices are made today, to the mountains of California, the hills of New York State, and the high tech corridors of Silicon Valley, the film tells underreported stories of environmental degradation and of serious illnesses linked to an industry that relies on the theory and practice of planned obsolescence. Playing in Seattle May 21 and Bellevue, WA May 22 at the Seattle International Film Festival (SIFF). In this short video, watch the Recycling Council of British Columbia (RCBC) explain "what's an eco-fee?" (YouTube), also known as an environmental handling charge. British Columbia has more than a dozen province-wide extended producer responsibility (EPR) programs for different products, many with eco-fees. LightRecycle Washington, PaintCare Oregon, and the Mattress Recycling Council programs are all similarly funded by environmental handling charges at the point of purchase. These are different from taxes as they are charged on users of the product and provide the consumer with a tangible recycling service: when you purchase the product, you purchase the recycling service. 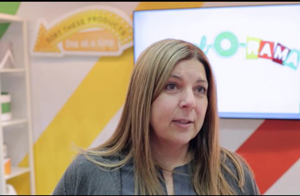 In this one-minute video, hear PaintCare Executive Director Marjaneh Zarrehparvar explain who PaintCare is, what it does, and why it matters. An investigation by the Basel Action Network (BAN) tracked hazardous waste electronic equipment, such as LCD monitors and printers, from electronics recycling drop-off locations around the U.S. to see where they would end up. "Unfortunately, we are seeing considerable backsliding in the electronics industry today compared to just a few years ago," said BAN Executive Director Jim Puckett. "Toxic e­waste is flowing off our shores every day to substandard operations, harming people and the environment across the globe. Meanwhile, these exports deprive our own nation of green jobs and make it difficult for responsible electronics recyclers to compete and survive." In this first report, BAN concludes: "What CAN I do with my old computer or phone or printer, etc. when it dies on me? We must reward those recyclers that have agreed to be held to the most rigorous standard: e-Stewards. e-Stewards is the only Certification Standard that adheres to the international law on trade in hazardous waste [the U.N. Basel Convention] and thus prohibits using developing countries as destinations for toxic e-waste. This is the law of the land in most of the world but not in the US because the US government refuses to ratify this agreement. The R2 Standard refuses to do this and state government programs cannot do this. And while it is true that there have been some companies we have caught cheating in our program — we have revoked their certification with all urgency. We cannot punish the rest of our ethical recyclers because of a few bad apples. The e-Stewards Program is supported by major cities and enterprises including Seattle, San Francisco, Kansas City, Bloomberg, Boeing, Alcoa, Wells Fargo, etc. Please use e-Stewards Recyclers and Refurbishers." The Intercept, Wired, and others covered this story in detail. UPSTREAM, writing in Plastics Recycling Update, describes why extended producer responsibility (EPR) policies for the plastics recycling sector are getting renewed attention. The principal drivers for this are: 1) the rapid downturn and uncertainty in recycled commodities markets; 2) the changing mix of the packaging waste stream away from traditional recyclable materials toward low-value “flexible” plastic packaging materials; and 3) the increasing costs borne by local government to manage plastics in the waste stream and as “plastic pollution”. EPR policies would provide funding to offset down markets, to build infrastructure, to improve the quality and quantity of plastics recycling and to fight pollution. If you have not already seen it, watch Upstream's Jamie Rhodes (YouTube video) explain the fairness and choice that EPR would bring to existing recycling systems, in March testimony before a Rhode Island House committee. The Mattress Recycling Council (MRC), the nonprofit organization which manages the Bye Bye Mattress stewardship programs created by laws enacted in Connecticut, California, and Rhode Island, launched the Rhode Island Mattress Recycling Program on May 1, 2016 (Connecticut and California launched in 2015). Rhode Island’s plan requires that mattress retailers "add a $10 recycling fee to each new or renovated mattress and box spring sold to Rhode Island consumers. Consumers will see this fee as a separate line item on their receipt beginning May 1. Retailers and other businesses selling mattresses will remit those fees to MRC." The fee pays for the collection, transportation, and recycling of discarded mattresses as well as outreach and education. The MRC programs in California and Connecticut are funded by similar $11 and $9 fees, respectively. Watch MRC Director Mike O'Donnell (YouTube) explain the program at the Northern California Recycling Association (NCRA)'s Annual Conference in Berkeley, CA in March. In the first three months of the MRC California program, over 100,000 mattresses were collected and recycled. The Board of Health of Snohomish County had a first reading of the proposed pharmaceutical stewardship ordinance on May 10 after the public comment period ended April 15; June 14 will be the second reading and vote. Snohomish County has a voluntary medicine take back program which will end in December 2016 due to lack of funding and staff. If the ordinance passes, the producer-provided program would start in the second quarter of 2017. Stat and Fortune covered the recent stewardship laws in Massachusetts and California. King County's Secure Medicine Return Regulations establish a stewardship program funded and operated by drug producers selling medicines for residential use in or into King County. The compliance deadline for the approved plan, King County MED-Project, to be fully implemented is no later than June 16, 2016. ReturnMeds LLC provided its notice of intent to withdraw its participation as an approved stewardship plan. Paintback began April 29 as the voluntary, national, waste paint and paint packaging product stewardship program in Australia. Paintback Ltd., an independent, not-for-profit organization, is funded through a 15 cents per liter fee that "will be used to establish and operate the collection program and research new ways to repurpose unwanted paint materials." GlobalPSC helped facilitate initial stakeholder discussions and development of the scheme.